Instagram's long-form video hub is expected to launch today, and will be named IGTV. According to TechCrunch, the new channel will launch with clips from independent creators who have a sizeable following on Instagram, as well as professional "content houses". Videos are currently limited to 30 seconds for Instagram Stories, and one minute for users' main feeds. IGTV will reportedly support videos up to an hour in length, though the site is encouraging creators to aim for a more manageable 10 minutes. 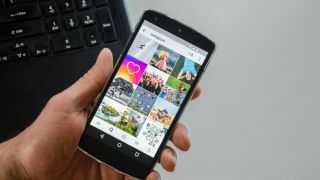 Two weeks ago, the Wall Street Journal reported that Instagram was planning a new feature with support for much longer clips and a "focus on vertical video", but this is the first time we've heard details of how the new hub might work. We'll update this article once we know more.